The colors used for this card are all taken from the Cottage Wall Designer Series Paper itself. I think this is one of my favorite color combinations this year. It uses Rich Razzleberry (NEW In Color) and Old Olive. Aren't the colors just so rich and striking? Here is a close-up of the flower that we made. Both the flowers and the leaves were made using the Five-Petal Flower Punch. The tip here (which freaked me out when I found out what we had to do, so bear with me ;o) ) is that you will punch out your flowers and then run them through the crimper about 6x and then crumple them up. Then, you will start to separate the Cardstock by peeling away *gasp* the two layers. I was truly afraid to do this at first but it was actually very easy and the resulting was beautiful! The leaves are done the exact same way. Lastly, we punched out a 1/2" circle out of the polka dotted Cottage Wall DSP and adhered it to a Build-A-Brad. This was then attached to the center of the flower and leaves then attached to the card with Stampin' Dimensionals. That's it. Easy right? Happy Stampin' and have a great night! CLICK HERE to order from me online 24/7. Here's the latest Backorder Report that includes the products that are retiring. This list is current as of May 25, 2010. You can currently order the following items, and they will begin shipping this week. You can currently order the following items, and they will begin shipping the week of May 31, 2010. You can currently order the following items, but a shipping date has not yet been determined. We will let you know as soon as we have that information. CLICK HERE to place an order 24/7. I'm sorry, but I don't remember the measurements of the box but I'll find out and add it to this post. So stay tuned for that. Here's a side view of the box. Isn't it cute? The flowers and sentiment are from the Simply Said set. Here's a front view. As you can see, the box is tied shut using the Bermuda Bay Ribbon. Inside is a handful of Hershey's Kisses, yummy! With all the business that's been going on I almost forgot about the Stampin' Up! Promotion for this month!! 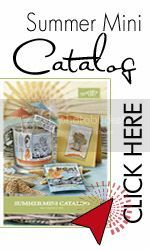 In honor of May being National Scrapbooking Month, the promotion this month is perfect for scrapbooking! With any order of specified stamp sets or the My Digital Studio, you get a FREE package of Designer Brads. How cool is that!? Click the image above to download and view more details! This is a group shot of the 3 projects we made. Aren't they great?! Today I'll be sharing the first card we made which is a graduation card. With all the graduations going on right now, don't you think it's perfect? I really love the colors, but you can always change the layout to fit whatever your school colors are! The swirly background was made using the Cornelli Lace Wheel and White Craft Ink. That was stamped onto a Basic Gray strip of cardstock that was slightly shorter than the strip that is directly behind it, also in Basic Gray. The stars and ribbon coordinate and are both using the In Color, Crushed Curry. Finally, the stars and "Way to Go" saying are from the Starring You stamp set. Oh ya, and the "Happy Graduation" sentiment is from Teeny, Tiny Wishes. That's all tonight, I'll share the next two cards in the coming days. Have a great night and Happy Stampin'! I just wanted to give you a quick update as to the products that are still available for purchase. These are products that were available in both the Holiday Mini and the Occasions Mini Catalog. So if you are still interested in these items let me know. I am off to Las Vegas for the weekend so see you when I get back! Happy Stampin'! I want to pass along some very important information about the colors that will be retiring at the end of June. Please read the message below. If you have any questions please CONTACT ME. Thanks! 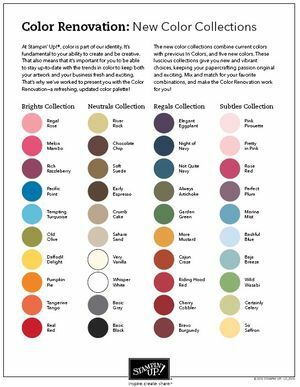 As many of you are aware, we are dealing with a significant backorder problem with our discontinuing colors. I wanted to do a little explaining-as well as a lot of apologizing-for this situation, and try to clarify how we've arrived at the decisions we've made. First and foremost, I am sorry. In anticipation of the colors retiring, we did extensive studies and research (going back to the previous color changes, looking at purchasing trends over several years, considering current buying behaviors, etc.) 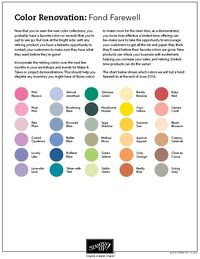 to forecast the expected demand through a date that we felt we could honor for filling orders on discontinued colors. We knew there would be a significant spike in the demand for these discontinued colors and planned accordingly. But, we were way off. I don't say that casually; I don't say that flippantly. I am stating a fact. Based on the inventory we had on hand, we felt very comfortable telling you that we would be able to fill orders for these products through the end of May. We grossly underestimated (in some cases, the demand was four times higher than what we expected) the desire that you and your customers would have for these colors, and I am so sorry. We saw several products nearing backorder status several weeks ago, and actually placed additional orders for these products. Last week, we realized that the situation for even more products was nearing back-order status and in some cases, item numbers were turned off. We have had employees on the phone almost nonstop with our vendors and we've met for hours trying to find solutions. The decision is not strictly a financial one; I have always been committed to doing what is right for you. If it were simply a matter of placing additional orders for these products and taking a financial hit, the decision would be made. I would do that in a heartbeat to make this right. The situation is more complex than that. The main problem is that, if we place orders for the discontinuing products, we run the risk of postponing product production of our new colors. 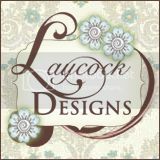 To begin the new Stampin' Up! year without inventory on our new colors would be tragic. On the other hand, not having inventory on hand to fill orders for our discontinued products through the time period we stated is also tragic. But we can't do both. After careful consideration of all options, we made a decision, which we announced on May 5. (Click here to read that complete message.) We determined that our highest priority is to have product on hand for our new colors. We also committed to filling as many orders as possible for discontinuing products. We will do this by 1) substituting textured card stock for smooth card stock in cases where we run out of smooth, and 2) continuing to place orders for other discontinuing items such as inks and markers in backorder status and work with our vendors to fill those orders. Some backorders may take weeks to fill, but they will get filled. You may be asking, "Will we be able to fill all orders?" No-and again, I am so sorry. But currently we believe we can fill the vast majority of them. As long as an item number is on in OEX, we are planning on filling it, even though it may be in back order status. In some cases, we will turn an item number off if we reach a point when it is absolutely unavailable and there are no other viable options. Do we understand what this does to you? I believe so. We have several employees who are demonstrators; we have many others who are as deeply committed to you as they can be. I know many of you have shed tears over this situation, and I want to assure you that many of us have as well. For me, there have been few situations that have been more troubling, more painful, than this one-primarily because we made a commitment that we are having a difficult time honoring. Once again, I'm sorry. 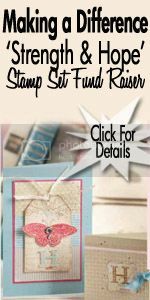 I thank you for all you do for Stampin' Up! and want to reiterate our commitment and dedication to you. We will do all we can to make this as right as we can. You can currently order the following items, and they will begin shipping the week of May 10, 2010. You can currently order the following items, and they will begin shipping the week of May 17, 2010. You can currently order the following item, and it will begin shipping the week of May 24, 2010. 29 colors are retiring BUT some of our past In Colors are returning as well. Stampin' Up! has done a wonderful job of introducing all the facts about the Color Renovation. Because they are going to introduce some NEW colors, that means that room has to be made. So, if you have some favorite retiring colors, please make sure to order them now, before they are gone on June 30th. For many, stamping is ALL ABOUT COLOR... so I am just very excited about having NEW COLORS to play with !!! We will also get 5 new In Colors in the new catalog, too !!!! Now, the colors that will be retiring are below. Please, please be sure you either CONTACT ME or go directly to MY WEBSITE to place your orders for any of the retiring colors listed above. Don't wait until it is too late. Remember you have until June 30, but items are going fast already!